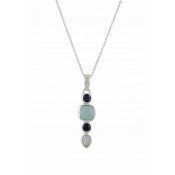 This silver Black Onyx pendant from The Opals black onyx jewellery collection brings a quirky modern twist to the traditional silver pendant necklace. 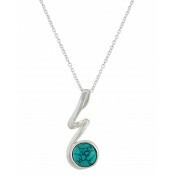 It features a circular Black Onyx gemstone balanced by a twisted curl of sterling silver and comes with a matching sterling silver chain. 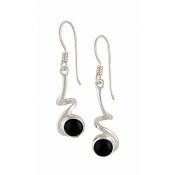 Create the complete look and make your own necklace and earring set with it matching black onyx earrings.